Waterproof to IPX7 standards for protection against splashes, rain, etc. 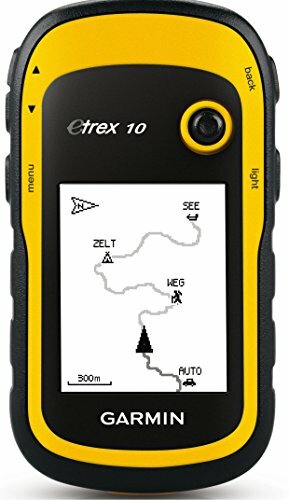 The eTrex 10 makes a great choice in handheld navigation for the budget savvy outdoor enthusiast. This eTrex model is equipped with a high-sensitivity GPS receiver, a 2.2-inch monochrome display, and a worldwide basemap making it easier than ever to see where you are and where you have been.